*Recording source/media : Depending on PC environment. Three functions in one package (Recording/Editing/CD-R Writing). * Please note that PRS Pro can only produce DAISY books that are structured audio and it does not have the capability of producing full text DAISY books. 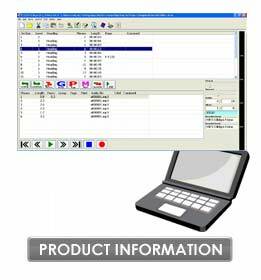 PLEXTALK Recording Software (PRS) is bundled with the PTR1 or PTR2. Differences between PRS Pro and PRS are shown in the following table. MP3 recording (encoding) quality Select from "Priority of speed", "Standard" and "Priority of quality". "Standard" only. Timing of start recording * Select from "Audio detected" and "Press of Record key". "Audio detected" only. * Depending on this setting, recording starts either when input audio is detected or when you press the Record Key. ** The “Tape Export” feature is a function which enables you to export a DAISY project to a series of audio files prepared to the correct length for copying onto cassette tapes.